Come join the fun! 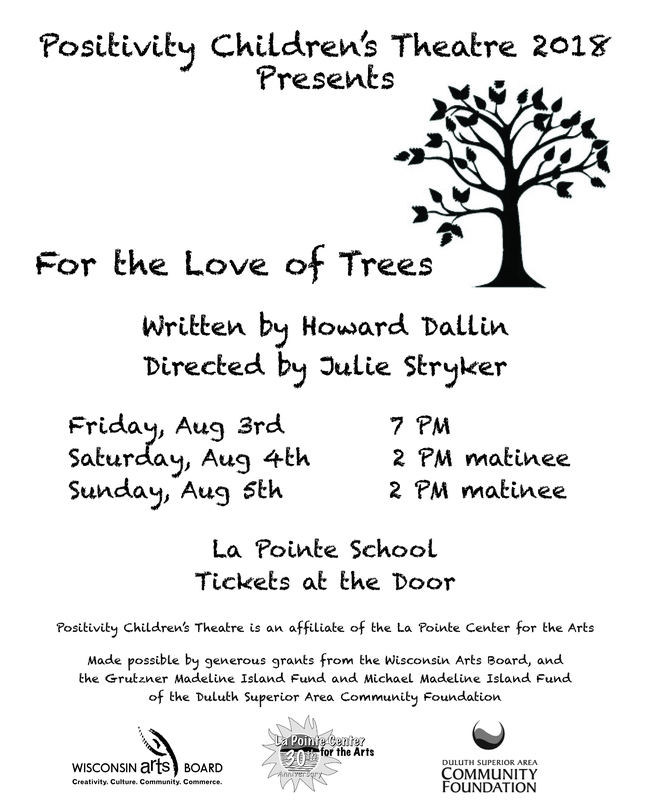 Positivity Children’s Theatre’s performances of For The Love of Trees takes place Saturday and Sunday, August 4 -5 at 2PM at the La Pointe School. An original play written by Howard Dallin and directed by Julie Stryker, stars a gaggle of island kids and will be sure to delight and inspire! Don’t miss it!